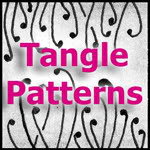 Jane's tangle whyz is the The Diva's challenge this week. Whyz weaves it's way into an amazing pattern, perfect for a carpet or mat. The colour added is the left over from my cup of Rosehip tea. I had just been reading from the zentangle blog about using tea to stain the tiles and I could tell immediately that the delicate color on your tile was tea, it is beautiful! 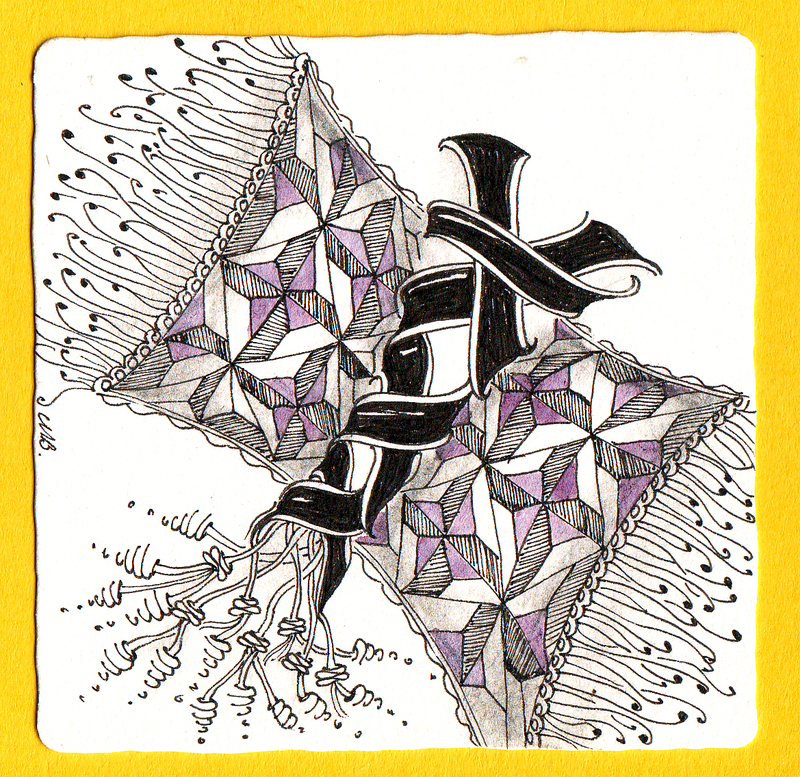 Oh, fabulous use of whyz to take us on a magic carpet ride! This is really beautiful, Shelly. Your shading and tea stain are genius! I LOVE this carpet! The pink from the tea is beautiful. I tried Turmeric this week, that yellow really rocks. Your magic carpet is spectacular! Your delicate rosehip coloring is perfect but my favorite is your wonderful fringe! I really like how this looks like a hollibough tube of zingers. The pinwheels are really neat in this pattern. A beautiful magic carpet. As always a great tile. The colors and use of tea beautiful. You did the right thing with Whyz. 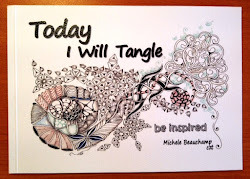 for me it was difficult to use the tangle, I'm a circle twirl lover, and don't know what to do with squares. The combination of patterns, the color.... wonderful!! I'll scroll back to take a look again!! This is lovely. I really like the center area with the Zingers spilling out and the rosé hip "paint" is a perfect color. Love this, it's so exuberant I want to ride this carpet! Smashing! - I love the pretty colour of the rosehip tea! So pretty, Shelly. I love it!